Nassau is an island that abounds with Bahamian and British flavor. The capital city of the Bahamas brags miles of awesome shorelines and rows of striking coral reefs ideal for snorkeling. Shop, eat, and tour, especially along the prominent shopping avenue- Bay Street. Experience the dolphin encounter along with seeing luxury villas along the waters of the Paradise Island. The experience is worth the price and must not be missed when on the enchanting island of Nassau. The best time to explore the city of Nassau is from May to November, the nation's off- season. The climate in the city remains moderately steady, with temperatures seldom plunging beneath 60 degrees even in winter. Normal high temperatures from December to May go up in the 70s and down to a low of 80s. The stormy season happens in the middle of May and November, with the storm season beginning in June. Anyhow, in spite of all the downpour forecasts, the city sees more than 300 days of daylight consistently. For the best all-around experience (counting great costs, nice climate and less crowds), go and visit a city that can be practically explored anytime of the year. These are the top things to do when in the island of Nassau. If you really want to see and interact with some dolphins, visit the Blue Lagoon Island. In this dolphin center you have two options of things to do; watch the dolphin show or join a group session with other tourists and interact (swim, kiss, hug, cuddle, dance, take pics, etc.) with the dolphins. One piece of advice, take your waterproof (video) camera, and lay everything down, the dolphins are very playful and so beautiful. After this session, which is a group of about eight people inside the pool with the dolphins, you will be given a DVD of your group tour for $57.00, photos are also included. The center is well maintained and the people who take care of the dolphins enjoy their work and willing to answer lots of questions. Furthermore, they also have sea lions. The place is a must see and the best way to educate the younger generation about how important these cute creatures are to the environment. Aside from the dolphin activity, you can explore the island that is rich with incredible colors. The clear and warm water of the beach looks like a scene straight from a postcard image. There are other things to see and experience and it is great to spend the whole day. Restaurants offer a nice lunch, tasty hamburgers, or you can try the water games (canoeing, kayak, fun boat rides, etc.). Take the first ferry in the morning to make the most of out of your beach tour of the island. The Queen's Staircase is quite secluded and located behind the hospital. There is no entrance fee on this place which was dug into the limestone and considered as a symbol of the slaves independence with the help of Great Britain’s Queen Victoria. It is impressive to see the amount of stone that was removed with simple hand tools. Large trees, especially their roots are visible on the sides of the walkway to the stairs. It is a beautiful setting for a compelling photo. The top of the stairs leads to the Fort Fincastle. Worth seeing is this work of architecture because you end up knowing the three great places you can explore in this part of Nassau; the stairs, the water tower, and the fort. The best part of taking the tour is to enjoy the idyllic view of New Providence (the island of Atlantis). The famous staircase is a pleasant place and can be accessed from the busy harbor that is filled with international cruise ships. The history and the beauty of this man-made scale are worth all the effort. The stairs are also dug by hand and did not use any types of machine to make it look like how it is today. The Sandy Toes Beach is a very beautiful island where you can access a number of deserted beaches and have privacy and time for complete rest and contemplation. You can spend the day doing some snorkeling, kayaking, strolling along the beach while admiring the beautiful sunset of the Bahamas. Get into the crystal clear water and take a swim, or indulge along with other visitors a round of beach volleyball or you can try out the various water sports activities offered on this beach. You can also hire a private boat and lounge in the sun, consume a hearty meal, and spend the night with a visit to the Sandy Toes Beach Bar for hip live music and a mix of their famous Sandy Toes cocktail. 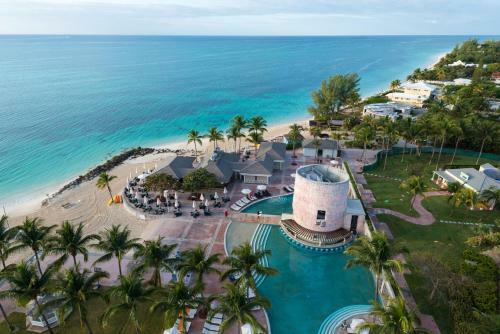 You will not only have an amazing time, but you can also create your most loved memories of your stay in Nassau when you explore the rest of the beach’s exciting features. Sandy Toes is located 45 minutes away by boat from Nassau to Rose Island, a virtually uninhabited island in the Bahamas. There are day trips where the lunch, island hopping, snorkeling and kayaking trips are included. The island has its original appearance perfectly preserved; only the sanitary facilities were recently modernized. There is a lunch buffet and a bar, the drinks are not included, but drinks are cheap (cocktails sell at approximately $ 5-7). The beach is very beautiful along with the tropical forest on the island and there are numerous hammocks to chill. It is a nice vacation spot that is away from all the hustle and bustle of the city. The Cable Beach is New Providence Island's most famous beachfront attraction. The 6.5km (4-mile) stretch of resorts and white-sand shorelines in the local northern coast has calypso music skimming to the sand from lodging pool yards and sellers going between sunblock-slathered bodies of its guests. There are no open toilets here on the grounds that visitors of the resorts must check in and utilize their lodgings' provided restrooms. On this beach there are numerous water games accessible if you need to unwind, play and socialize with the locals or other tourists. There are also lots of restaurants that highlight the well known dishes of the Bahamas along with a cold glass of beer. You can have fries or fried plantain bananas anytime of the day. At night, live band music sets the mood for partying, drinks, dancing, and all night revelry until the wee hours of the morning. It is a magnificent experience and an entirely new perspective about the island of Nassau. Although in the Bahamas all the beaches are public, it is not how it is on the beaches that are situated around the row of Paradise Island hotels. The best choice from this remote side of Nassau is the Cabbage Beach. Even if it’s a bit difficult to access it is still filled with tourist especially on weekends. You must take a taxi or water taxi from the port of Nassau and cross the island on foot thereafter. Once you reach the Paradise Island, you have to cross the Atlantis Marina Village and everything to reach the hotel Riu, and then cross to access the front side of this hotel. But this walk is all worth it! The private beach is quite huge and away from the noise of the city. It is better to stay a bit far from the proximity of the hotels because it is much less crowded and you will not be bothered by street vendors (mostly sellers of sodas, fruits, and souvenirs that go back and forth along the beach). The sea is deep enough when you enter the water, which is an advantage. The beach is very clean and pretty quiet. Do not miss exploring the Cabbage Beach when in Nassau. The Christ Church Cathedral is very simple, both inside and outside. It is located in the city center, next to the Museum of the Pirates and the Parliament Building, it is very cozy and well worth a visit. The stained glass windows are lovely and taking pictures inside is allowed. It is an Angelican cathedral graced with a contemplative ancient architecture that makes it more interesting to discover. Although Catholic, this Mass is very different from a mass celebrated in other churches located in the Bahamas. After hearing a mass, you can take the tour lead by a smartly dressed lady who will hand you a guide/brochure with particular information about the history of the church construction. When inside you will feel great warmth, tourists are very well received (regardless of faith or denomination) and even at one point the priest asks the tourists who are present to stand up, gives them his blessing and asks locals to applaud them by visiting the church. The guests are mostly touched by this gesture and the experience is equally chilling. After every Holy Mass, the priest, acolytes and choir of the church walks in a procession while singing the hymn of joy and inviting all participants to accompany them to a location contiguous to the church for coffee and cake and hang out a bit for a little while to get acquainted with each other. You will feel very loved by the entire community and therefore it is highly recommended that you visit this site to delight in this unique and spiritual experience. The Clifton Heritage National Land and Sea Park is without a doubt one of the interesting places to explore in Nassau. From the city center it is easily accessible by hiring a cab that will get you there for roughly 40 dollars. 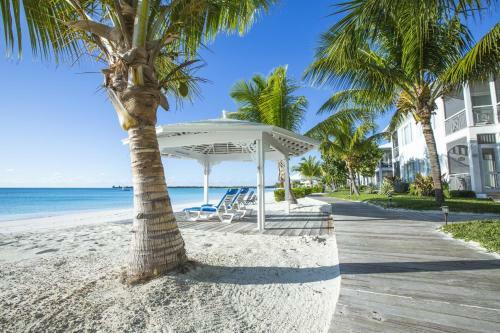 You can stroll on a fairly long street that leads to the Lyford Cay. And from this point, the tranquility and clarity of the water is surprising. Bring your snorkeling gears, masks, and fins. It has a phenomenal marine life and radiant shorelines that is enjoyable and remarkable. For photographic artists its very excellent, and it’s not difficult to fill up a memory card with images of its rare finds and natural beauty. It is well kept and restaurants are very rare, but there a lot of sellers offering fruits, snacks, drinks, and sandwiches. This is also the most populated area of the city with local kids and teens hanging out in the Sea park area. The Arawak Cay is a very cool place to visit loaded with many restaurants with various options of seafood and drinks and easily accessible through the local bus transport. The place is always full of tourists, but there are plenty of authentic Bahamians who flock to the many restaurants and kiosks that serve the famous SKY juice. The food is good and it shows a slice of life of the city. It is a nice recreational park that you can spend an evening with after a tour of the city. The restaurants are located along a street that is located a few steps from the sea and offer everyone a decent kitchen even if the prices are not exactly cheap. On the side that goes to the city diminish the bars and restaurants, increased pickup trucks that serve lobsters and sky juice and the atmosphere is even more typical. If you want to experience having a taste of the conch salad, this is the right place to go. The Cloisters Nassau is definitely a place for a romantic date or family picnic because there are many quiet corners situated within this park. Behind the sculpture is another small park down the stairs. The place is ideal for kids who like to play tag and run around the structure of the cloister ruins. On weekends it gets busier and often gets closed for private events. The garden is well kept and has an impressive view of the bay. This is also a favorite “photo shoot” venue for every aspiring photo hobbyist or professional photographers. This gorgeous place is absolutely free and very quiet despite being in the midst of a busy capital city. There are small gazebos surrounding the park and sculptures about women. At night, the place becomes more romantic as there are more couples who flock to this area and enjoy a good stroll around the park while enjoying the cold breeze coming from the bay. The Junkanoo Expo Museum is located near the National Art Gallery of The Bahamas. There are several parts to display as well as a wealth of archived material to explore. You can also have access to the rear part of the house which is converted into an art workshop. It serves throughout the year for making carnival costumes. At the end of every visit, you can have the opportunity to take photos with hats used during the Junkanoo carnival. Kids loved the one where they get to dress as a "samurai" warrior. The visit can be done within an hour and few people seem to have been aware of the existence of this museum here in Nassau because there are no lines and hardly anyone else visits. There is no admission price indicated but a donation can be made to the owner. This is actually the house of his childhood, which was transformed into a museum. It is very nice and gave lots of information about the traditions surrounding the celebration of the Junkanoo festival. Going through a city where they filmed "Pirates of the Caribbean" and not know a pirate museum would be a shame. The Pirate of Nassau Museum has several wax sculptures that tell the behavior, passions, hierarchy, history and folly of the pirates. The entire tour ends with less than 1 hour. The entrance fee costs $24 and at the end of the tour there is a shop that sells souvenirs. It is very well fitted and with many details about what life was like for the pirates and even a bit of the biography of some of the most famous ones. Children are the ones who will enjoy, but adults will certainly also have their share of fun in this unique and themed museum. It is worth knowing because it brings historical curiosities about the Caribbean, especially about the phase of piracy during the ancient times. The Parliament Square is a must see in the historic heart of the capital, very British pink and white it is the ideal starting point if you are interested in learning the historical past of Nassau. It is perfect for a short afternoon walk, there are many small shops, cafes, and the cruise terminal is also right nearby. The city of Nassau has lots of shopping opportunities. You can do all the little shopping for souvenirs and local delicacies on the way to the parliament area building. The parliament is on the main avenue of commerce of Nassau, the garden contains flowers, statues and historical photos. 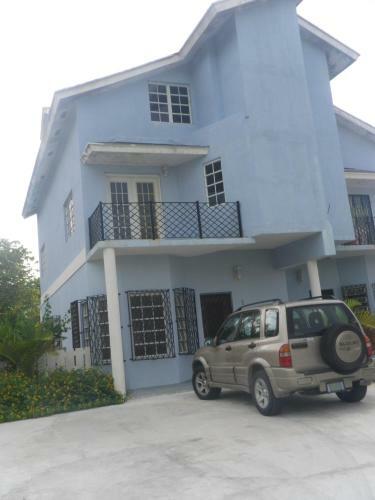 It is easy to find and truly worth a visit when in the beautiful island of Nassau.